Falcon Agency, a digital agency, has appointed Marcel Wessling (pictured right), who has more than 15 years of experience in digital and advertising, as the creative director. Previously, in his roles at Saatchi Arachnid, Publicis and McCANN, he has worked with prominent clients such as Nestlé, Mondelēz, Subway, OCBC Bank, Zurich Insurance and Petronas. Together with Wessling, Lim Seng Seong (pictured centre) has been brought on board as the creative group head. Prior to this, Lim has worked with Saatchi & Saatchi, TBWATequila and Leo Burnett, where he worked on clients like Mamee, BSN, MINI, Telekom Malaysia, Sime Darby, McDonalds and JTI. The agency has also appointed Chia Yau Fai (pictured left) as senior copywriter. In the past, Chia has spent six years with Havas, NagaDDB and VLT and has worked on brands such as Carlsberg, XPAX, Hong Leong Bank, Panasonic, Astro and BMW. “The ambitious spirit in the agency is contagious and I am excited to work with a group of highly talented people. 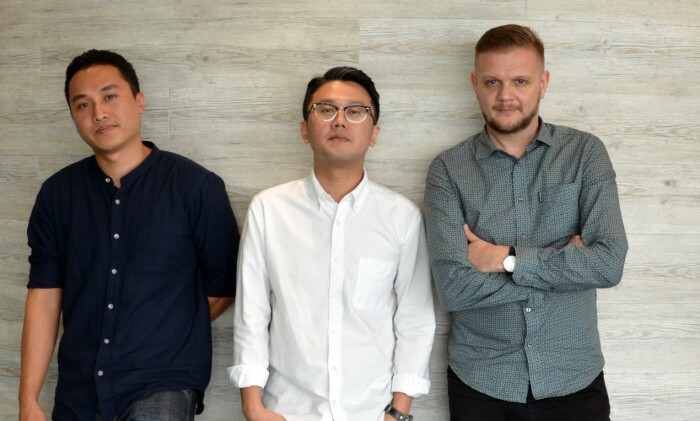 Adding Lim and Chia to the team signals the creative ambition of the agency beyond its traditionally strong digital and performance capabilities,” said Wessling. “We are excited to have Wessling, Lim and Chia onboard. They are creatives who understand business, channels and technology, and we are excited by the capabilities they will bring. Most importantly, we all share the same hunger for effective work that brings real business results.” added Kelvin Koo, MD of Falcon Agency who joined the agency last year. The growth of the creative team is timely with recent wins of both local and regional businesses like Motul, Klook and Wine Connection, including creative duties for two destination campaigns for Qantas in Singapore. Media agency MEC has shuffled its top management appointing a new managing director in Singapore as Connie Chan moves to a regiona.. The insurance company aims to record 100,000 squats, which is equivalent to 5,000 people doing 20 squats each, by the end of the o.. The Ministry of Communications and Information said in a press statement that there is demand for over 42,000 workers specialising..